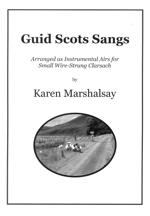 This book contains arrangements by Scottish harper Karen Marshalsay, of songs she learned, loved, and sang during her Ayrshire childhood. 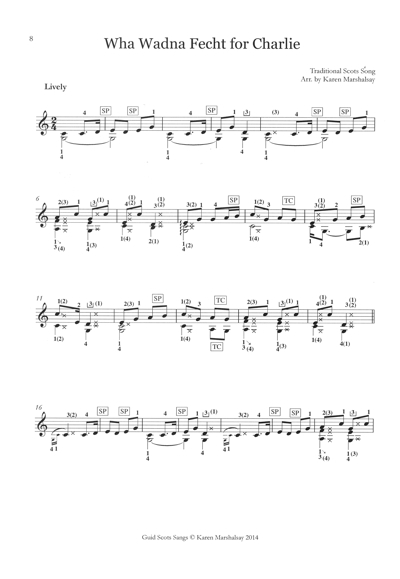 Tales of battles, Jacobite risings, life on the road or on the seas, the supernatural, love and loss, are set out for a range from G below middle C up to treble D. Ornamentation, damping, gestures, and fingerings are all written in and clearly explained. Although these are intended to function as instrumental airs, the words are given as it's important to know what a song is about, and of course, you might want to sing it too!